Coconut Grove is a neighborhood within Miami defined by its lush vegetation. Formed in 1929, Coconut Grove contained the first hotel on the South Florida mainland opening its doors in 1882. World renowned for its myriad of festivals, it instantly becomes an obvious choice for those seeking entertainment. Coral Gables is one of the premier cities within Miami Dade County. Developed by George Edgar Merrick in the Florida Land Boom of the 1920’s, the tree lined streets contain the highest concentration of Mediterranean Revival Style Homes in the United States. Well known for its fine dining and cultural attractions, Coral Gables is synonymous with elegance and sophistication. Miami real estate is among the most luxurious and desired in the country, and it’s easy to see why. From the stunning vistas of the Atlantic Ocean to the serenity of Biscayne Bay; from the glamour of Miami Beach to the class of Coral Gables and artistic flair of Coconut Grove, Miami has it all. Miami Beach is considered the crown jewel of South Florida. It has been one America’s premier beach resorts for over a century and for good reason. The city is an epicenter of culture, nightlife, fine dining, unique architecture, and desirable homes. Fisher Island is an upscale community located between South Beach and Key Biscayne. The entire town is located in a private island accessible by a boat ferry. The appeal of Fisher Island stems from being exclusive and having neighborhoods that contains single family homes directly on the ocean and the close proximity to Miami Beach and it's surrounding communities. As Senior Vice President of Sotheby’s International Realty since 2004, Jorge Uribe's professionalism and expertise in the residential luxury real estate market has generated more than $1.5 billion in sales. Jorge's hard work and dedication translates into him being one of the leading real estate agents in Miami. Jorge has been the top producer for Sotheby's International Realty since 2004 yielding more than 35% of the total sales on a yearly basis. If you want to be informed about the latest news on luxury real estate in South Florida, visit our website frequently. 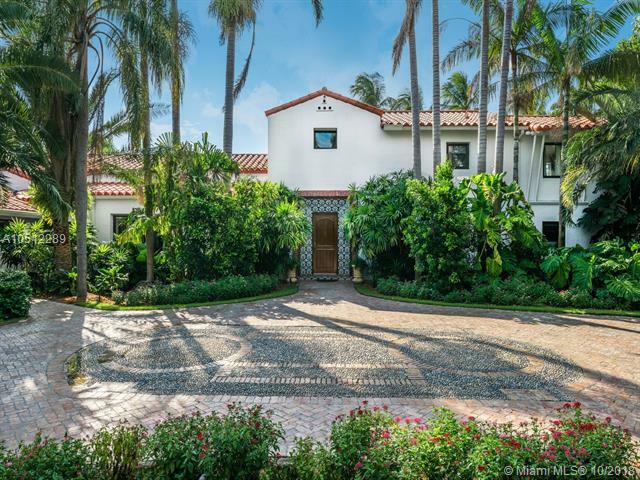 Browse the latest and the hottest luxury properties - homes for sale in South Miami, including the featured areas of Coral Gables, Coconut Grove, Key Biscayne and the surrounding neighborhoods. Search for luxury condos in Coral Gables, luxury condos in Miami Beach and throughout South Florida. Miami real estate is among the most luxurious and desired in the country, and it’s easy to see why. From the stunning vistas of the Atlantic Ocean to the serenity of Biscayne Bay; from the glamour of Miami Beach to the class of Coral Gables and artistic flair of Coconut Grove, Miami has it all. Long known as a cultural and entertainment capital, Miami is also home to fabulous estates and exclusive neighborhoods that allow residents to take advantage of all that South Florida has to offer. Coral Gables is an enchanting city with a Mediterranean flair. Known as “The City Beautiful” for good reason, Coral Gables is known for its tree-lined streets and exclusive neighborhoods. 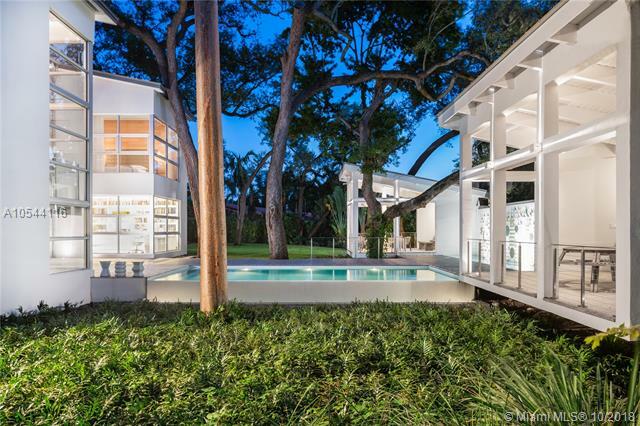 Some of the most coveted real estate in Coral Gables resides in Cocoplum. 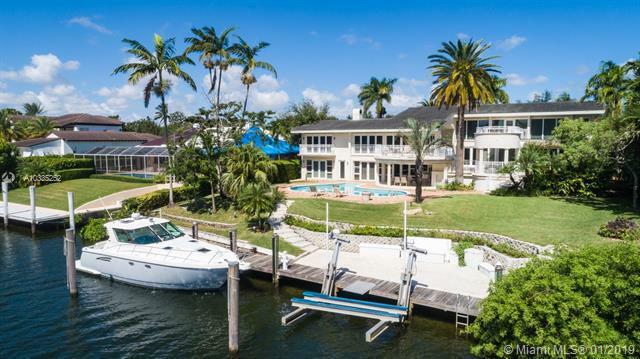 This prestigious neighborhood is full of waterfront estates on Biscayne Bay. Tahiti Beach, a chic subdivision of Cocoplum, is built on a private nature reserve and is a hidden tropical oasis of Miami Beach real estate. Other equally upscale residential neighborhoods in Coral Gables include Gables Estates, Deering Bay, Gables by the Sea, and Old Cutler Bay. These posh neighborhoods are true gems. Coconut Grove is an bohemian community in Miami-Dade. Once a haven for artists, the village is now a haven for extraordinary real estate. Coconut Grove homes, with their proximity to Biscayne Bay, are perfect for boaters and admirers alike. Some of the most exclusive neighborhoods include The Moorings, Camp Biscayne, Entrada Estates, Abitare, and Cloisters on the Bay. These exclusive neighborhoods often only have a handful of properties, including Camp Biscayne with only 11 homes, and The Moorings with only 37. However, this only adds to the mystique and increases demand for Coconut Grove homes. These fabulous neighborhoods are gated communities that offer every luxury and convenience to residents. Real estate in Miami Beach is as widely varied as the cultural make-up of the city itself. South Beach is quickly becoming a sea of ultra-luxurious high-rise condos lining the oceanfront. These South Beach condos are the pinnacle of lavish living, offering residents amenities equal to that of a five-star resort. Standard amenities include floor-to-ceiling windows to showcase the unparalleled views, 24-hour concierge and security services, health clubs and spas, tropical pools, business centers, and beach access. Luxury condos on South Beach are all ideally located for enjoyment of the plethora of pastimes in South Beach. Some of the most extravagant condos include Apogee, Continuum, and The Setai South Beach. Those looking for a more tranquil living experience in Miami Beach look towards the exclusive neighborhoods of Star Island and Fisher Island, amongst others. Star Island, perfectly located in the Biscayne Bay Aquatic preserve, is an elite island that is home to celebrities and entrepreneurs from around the world. Fisher Island is a private island that was once the secluded retreat of the Vanderbilt family. Today, Star Island and Fisher Island real estate features expansive waterfront estates that are highly in demand. Homes on Star and Fisher Island typically sell in the tens of millions of dollars. Other prestigious islands in Miami Beach include Palm Island, Hibiscus, and the Venetian Islands. The Palm and Hibiscus Islands are man-made islands in Biscayne Bay. They are connected by a short bridge to the MacArthur Causeway, and consist of beautiful, waterfront, multi-million dollar homes. The Venetian Islands are actually a chain of six artificial islands, all with equally stunning views. These exclusive islands are Belle Isle, Rivo Alto Island, Di Lido Island, San Marino Island, San Marco Island, and Biscayne Island. Real estate on the islands of Biscayne Bay offer amazing beauty and grandeur. Over the years, Miami has grown into one of the most fashionable areas in the country. Its beaches and beauty attract both tourists and residents from the world over. Real estate in Miami has become a draw in itself, with condos and homes that match the splendor of the natural landscape.